The DJI Ronin-S has an impressive payload capacity of up to 3.6 kg (8 lbs), but the gimbal itself weighs 1.86 kg (2.76 lb). This means you could potentially end up trying to use a camera/lens/gimbal combination that weighs in at 5.46 kg (12.03 lb). 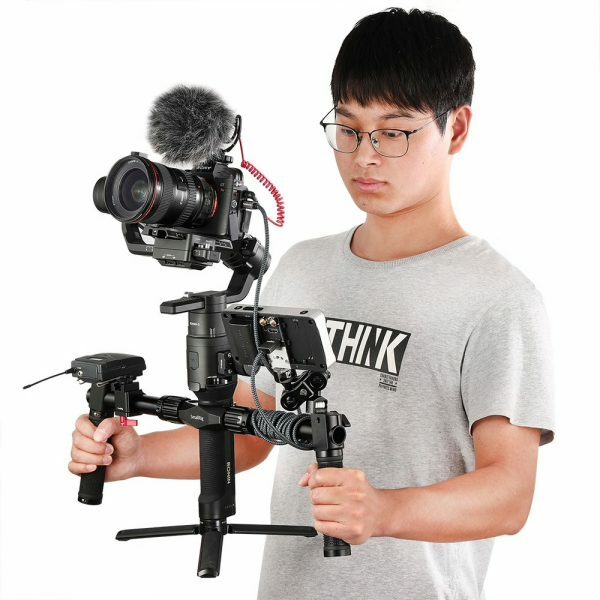 That’s a lot of weight for a single-handed gimbal no matter which way you look at it. If you are going to run a heavy set up you really do need a two-handed solution. 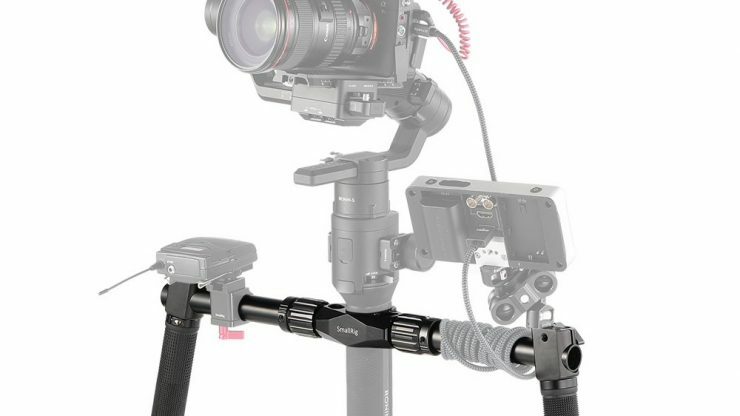 Well, SmallRig may just have what you are looking for, the Dual Handgrip for DJI Ronin S Gimbal. 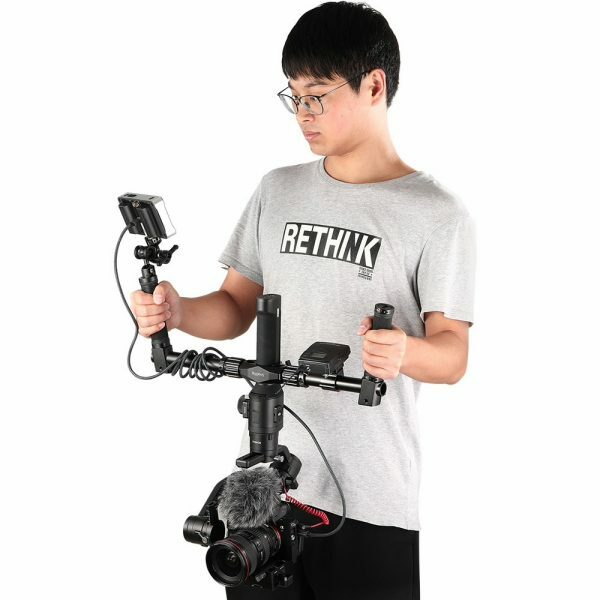 The SmallRig Dual Handgrip for DJI Ronin S Gimbal (BSS2250) was designed so you can operate your Ronin S gimbal with both hands to reduce one handed fatigue. The dual handle attaches to Ronin S via a ratchet knob and features rubber inside of the mounting socket to prevent scratching the gimbal. The handle can be taken apart and broken into five parts for easier travel and storage. 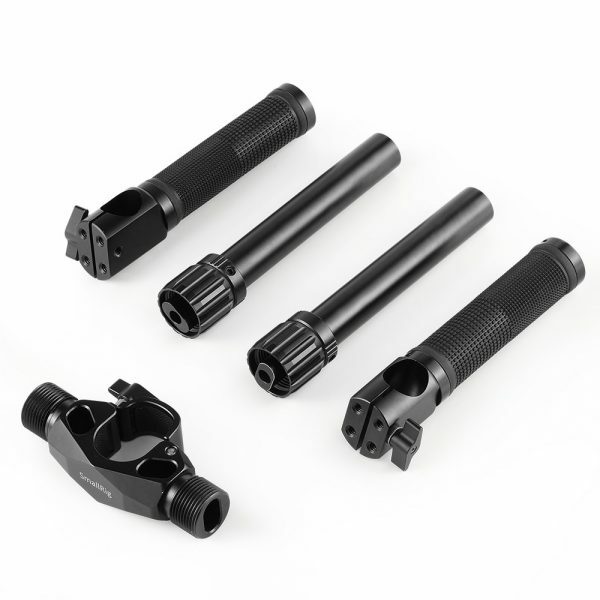 Each handle grip features four 1/4-20”threaded holes on the top , one 1/4”-20 and one 3/8”-16 threaded holes on the bottom for attaching accessories such as Cold Shoe 2260 and Magic Arm 2070 for microphone and monitor. The Dual Handgrip can be used overhanded, or underhanded for an inverted mode. The 25mm handlebar also allows you to attach the Smallrig 25mm Mounting Rod Clamp 1860 for accessory attachment. Additionally, the ratchet knob system allows you to adjust the position of the handle on the bar quickly. 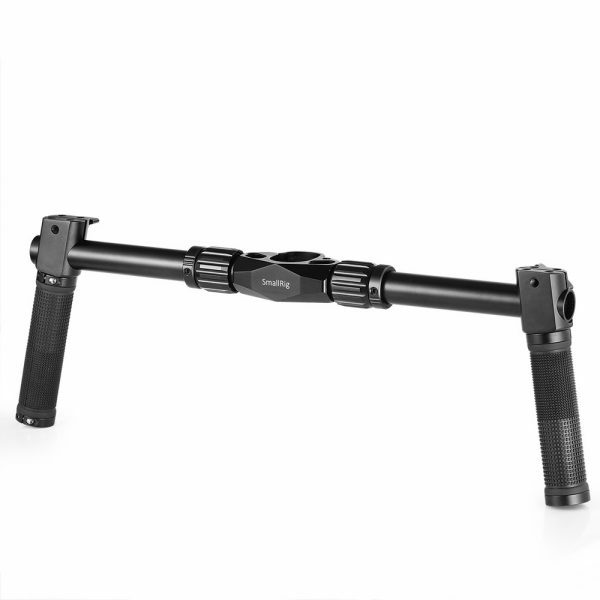 It’s actually quite surprising that DJI themselves haven’t made a dual handgrip for the Ronin-S. There are a couple of other dual handgrips available for the Ronin-S already from companies such as Agimbalgear, Shape, EACHSHOT, New Stable, and Dazzne just to name a few. 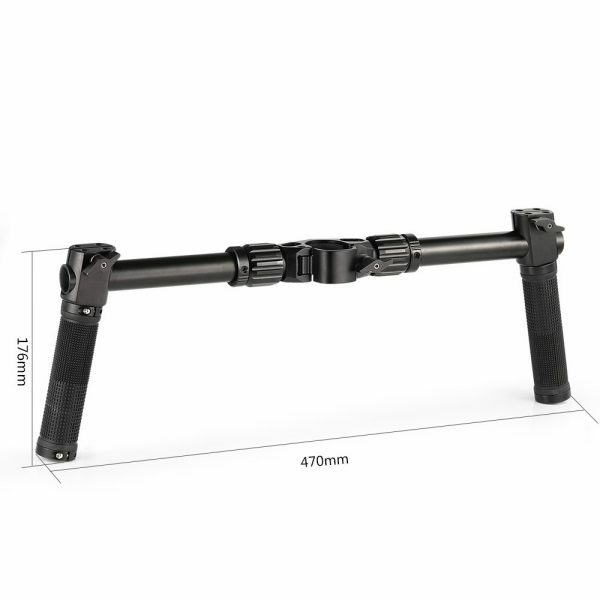 The SmallRig Dual Handgrip for DJI Ronin S is now available to pre-order for $79 USD. 1. Pre-order can be canceled and refunded before shipping, there is no cancellation fees. 2. When PRE-ORDER products are included, the package will be shipped when all products are available. Please check out for regular products separately if immediate shipping is needed.